But when I came to college, I wasn’t sure which supplies I would actually need. I ended up wasting a lot of money buying things in the school store, rather than coming prepared. For those of you who are starting college in the fall and want to know what college school supplies to buy, here are my recommendations! All of the following links to Amazon are affiliate links. That means that a small portion of each sale comes back to me, to help me run this site. It in no way affects the price of your purchase, and you are not obligated to buy these objects through my links. If you do, thank you for your support! The area around my college doesn’t have a ton of school supply stores, and most stores they do have are overpriced. For that reason, I tend to use my Amazon account when I buy school supplies, because it’s cheaper than my local Staples or OfficeMax. Buying on Amazon became a lot easier when they introduced Amazon Student, which comes with tons of deals and free shipping on every order. 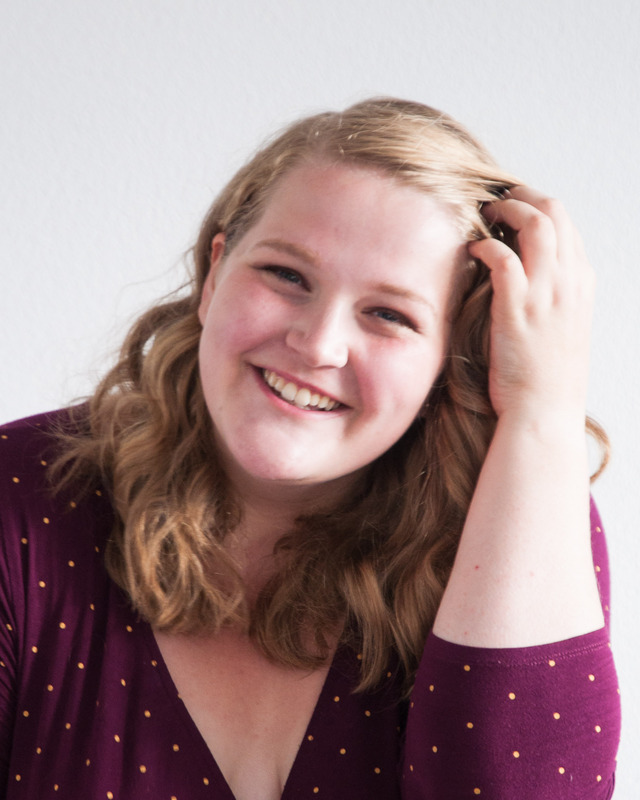 Signing up is free for the first six months with a .edu email address, and in the coming months they’re also giving away $250,000 in college scholarships. If you’re interested, you can sign up here! I prefer pens to pencils for almost everything, but if you’re a pencil kinda person, any kind should do. 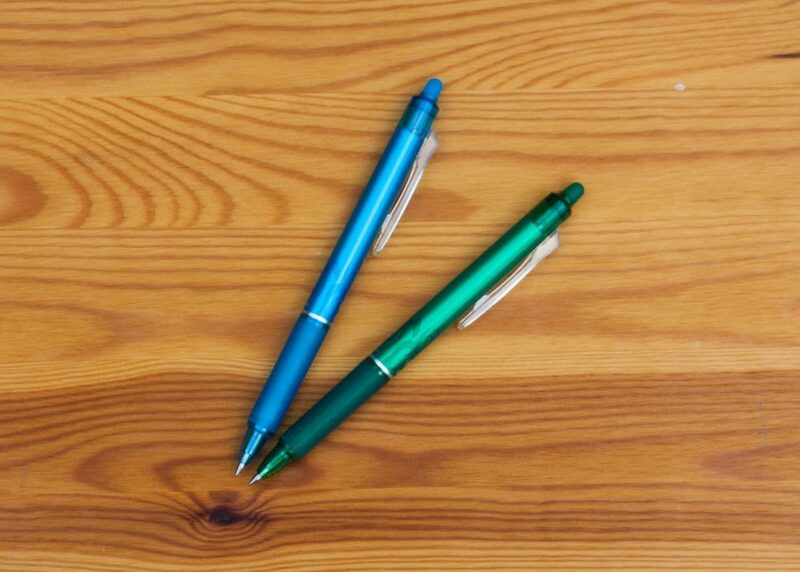 I like these recycled mechanical pencils by BIC ($10.46 for 24), but these budget-friendly PaperMate Sharpwriters ($2.99 for 12) work just as well. Oh goodness. If you know me well, you know I have a thing for pens. I’ve talked about them here before, and no doubt I’ll do it again before the year is up. These are the pens I use for school. 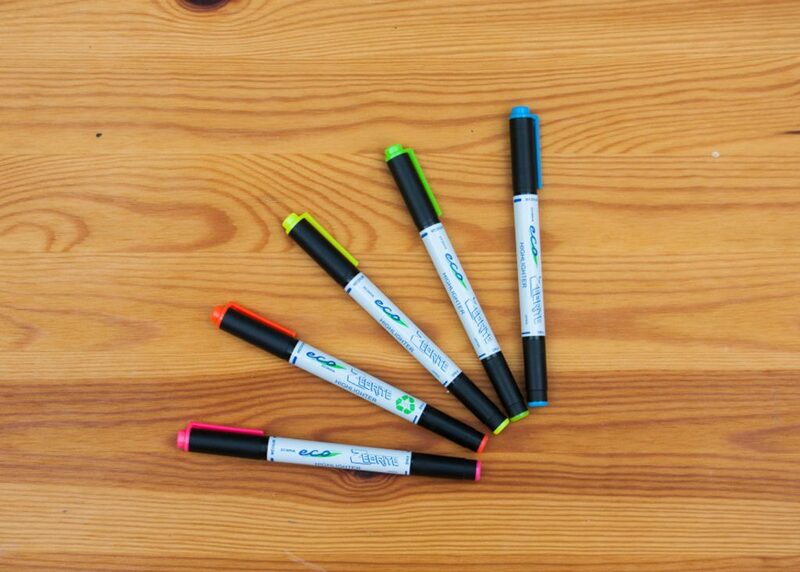 For taking notes: Pilot FriXion Erasable Pens ($10.98 for 7). When I’m not note-taking on a computer, I like to have the option to erase and rewrite what I’m doing. 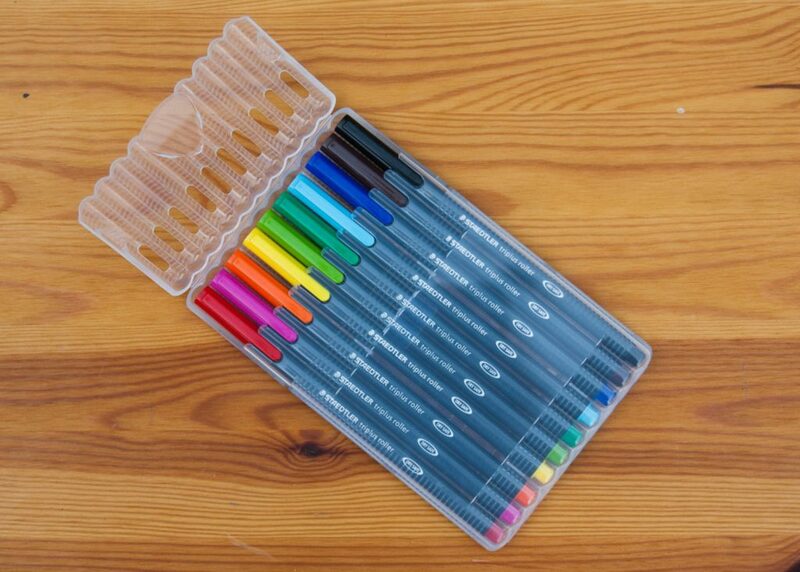 I’ve tried a lot of erasable pens, but these are by far the best. They leave no marks behind after erasing, and the colors are vibrant. I rely on these pens so much that I used up four of the seven that I bought within a few months. For color-coding notes, flash cards, or diagrams: Staedtler Fineliners ($10.39 for 10) or Stabilo Point 88 ($8.16 for 10). Of these two pens, people tend to have a favorite, but I love both. Staedtler tends to be thicker and less likely to bleed through paper, in my experience, whereas Stabilo lines are thinner (a plus) but more bleed-prone. I am currently enjoying the Staedtler more, but you can’t go wrong with either. If you’d like to see a comparison of the colors, you can check out this very helpful post by Pens and Art. For all highlighting: Zebra Eco Zebright Highlighters ($5.49 for 5) are eco-friendly and don’t bleed, even through Bible paper. I’ve used these in my journaling Bible for a while and I absolutely love them. I suspect they would work just as well on thin textbook paper, and plain-old notes. Budget alternative: BIC Bright Liners ($2.88 for 5). These are less expensive, and in my experience, the colors are very vibrant, though there is some bleed-through. I am such an addict to sticky notes. I use them for everything, from marking my pages to making lists to reminding myself to go to the pharmacy later. I use two kinds of sticky notes. 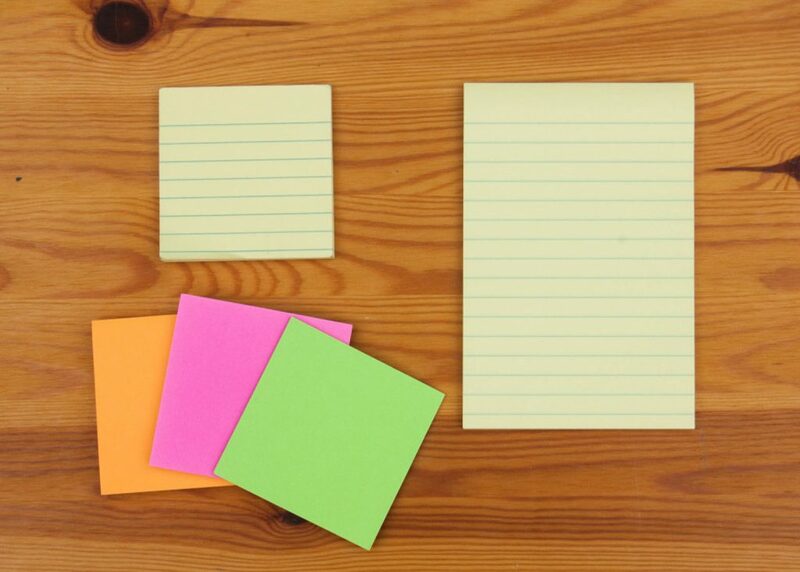 For reminders and flags: Post-It Super Sticky Notes, 3 x 3 ($4.97 for 5). 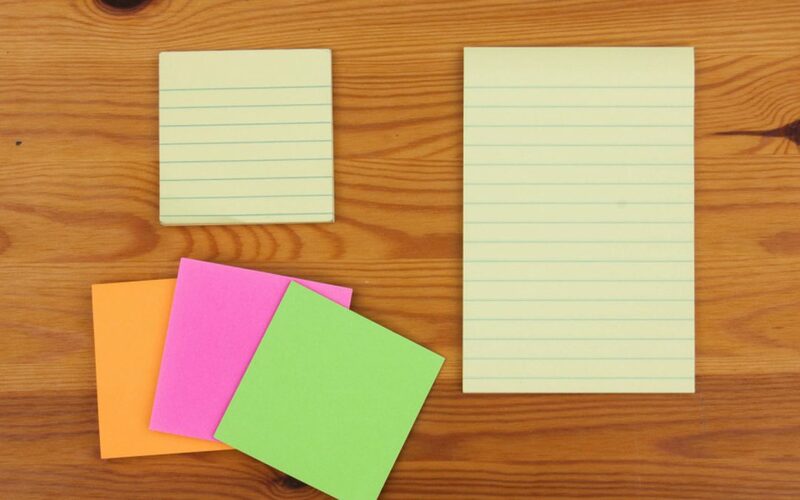 These work great for taking notes in a textbook, leaving yourself a reminder, or folding over to use as makeshift sticky flags. Budget alternative: Target Dollar Spot Sticky Notes ($1 for 1 pack). Target has a lot of really great deals in their Dollar Spot aisle, which unfortunately is not available online. Their sticky notes and flags are often also cuter and more colorful than standard Post-Its. 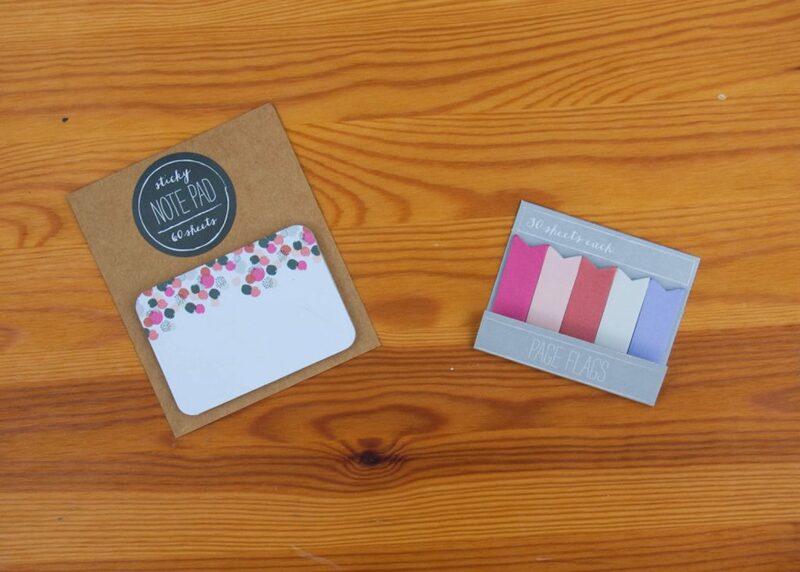 Check them out the next time you go to Target for a budget-friendly alternative to traditional Post-Its. All-in-one class notebook: Miquelrius College Notebook ($14.99, 6-subject). 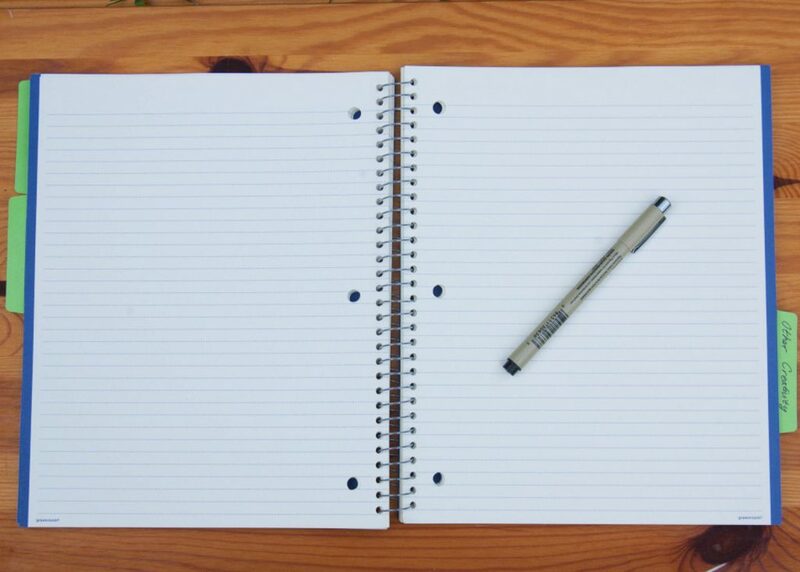 I love these notebooks. Similar to Lily Pulitzer notebooks, the edges are lined in a color, which makes it easy to color-code for different classes. Miquelrius notebooks have six sections, each with a different-colored edge. I love this for taking notes and keeping them organized. Budget alternative: The Green Room Notebook at Target ($6.99, 3-subject). I actually prefer this notebook to Miquelrius, because it’s also made out of recycled paper and has a cuter cover. These notebooks are not available online, but you may be able to find them at your local Target in the stationary aisle. While this is not a complete list of everything you’ll need for a college semester, it’s a good start. I find that while I do make use of my stapler and three-hole punch, the above items get a lot more wear. Remember that it’s better to buy the things you’re missing than have to dump something you’ve never used at the end of the year. 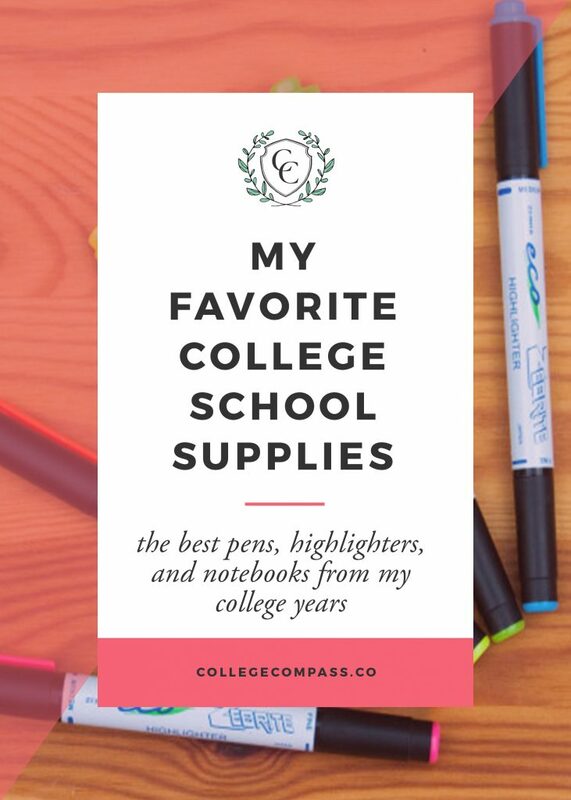 What are your favorite college school supplies Let me know in the comments!